Paul talks us through the design and how he plans to bring it all together. It’s useful to know how ideas are formed and what inspires someone like Paul. 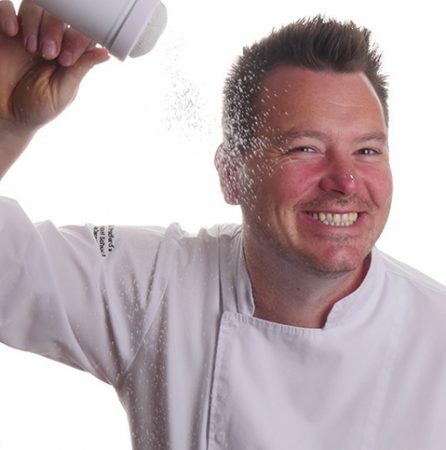 He has already covered the cakes but fear not… you can learn how to cover and stack your cakes by watching this video. 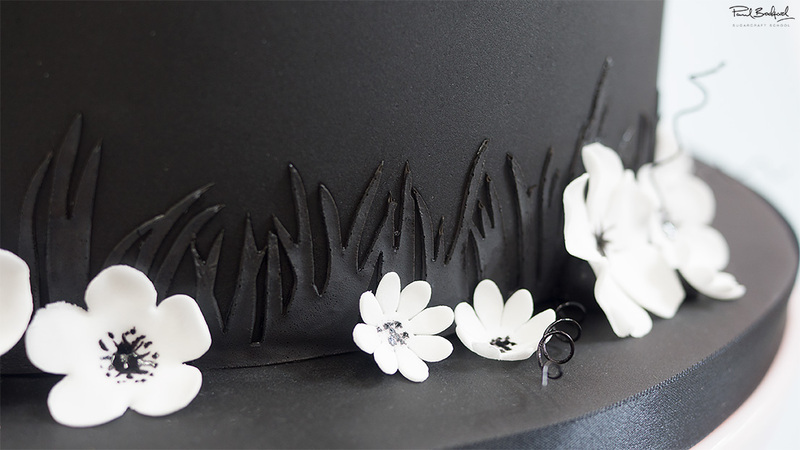 Paul shows us how to get the best results when working with the cake lace moulds. He then creates all the silhouettes that will be used for this design. Paul makes the adorable flowers using plunger cutters and shows us how to add a little extra life to them. He then demonstrates how to carefully apply the thin layers of grass to the cake. 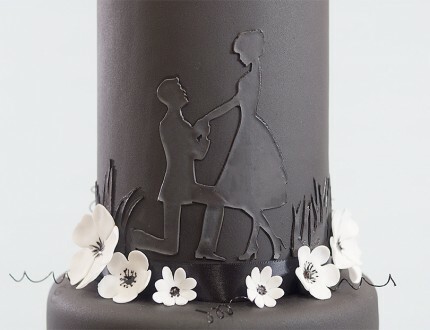 In this lesson, Paul adds the silhouette of the couple to cake, as well as the rest of the grass. 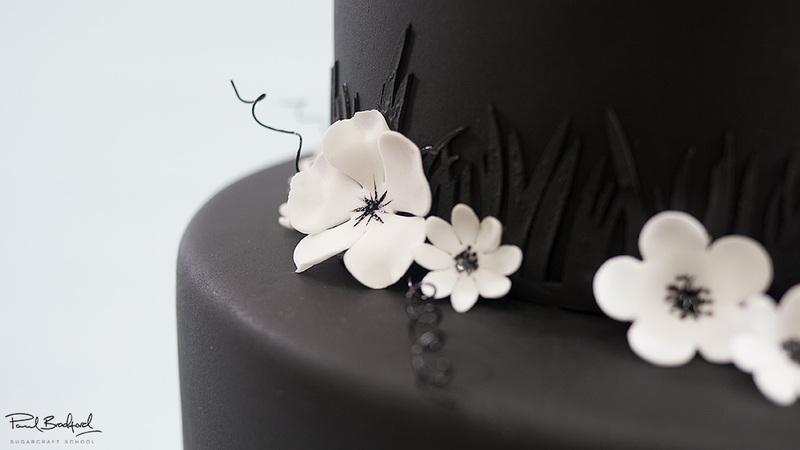 Now the flowers have had a chance to dry, it’s time to add them to the cake. Paul finishes the cake, adding some detail to the flowers, as well as a little extra decoration to add some more dimension to the cake. Paul shares some other ideas you can try out during this project. We’re sure you’ve some of your own great ideas and we’d love to see what you come up with. Share your pics with us on our Facebook page. 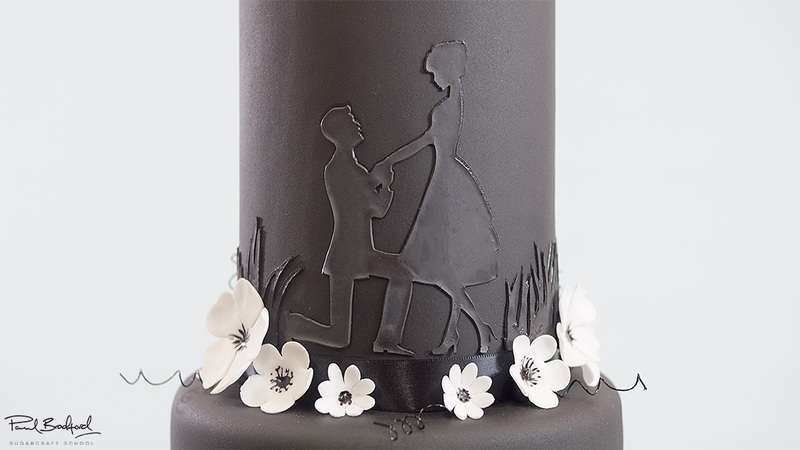 In this lesson, Paul shares some insider information about the cost to make this cake, as well as pricing, portions and other vital information for any professional cake designer. Here we have carefully selected the key parts from the entire tutorial and condensed it into an 5 min long video. More than enough to get you started without taking too much time. 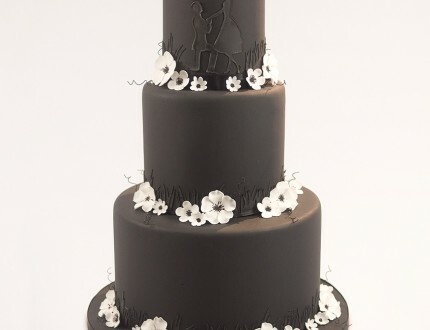 Looking for a wedding cake that's a little different? 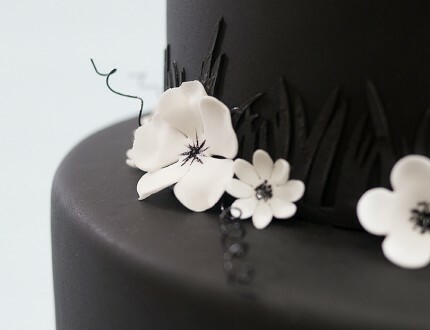 Let Paul introduce you to the striking Black Noir Wedding Cake, inspired by the starkly contrasting blacks and whites of the French film genre. This elegant design would suit a true film buff or lovers of vintage chic. It's an easy and quick cake to make, plus it can be adapted in a great many ways to suit all sorts of occasion. 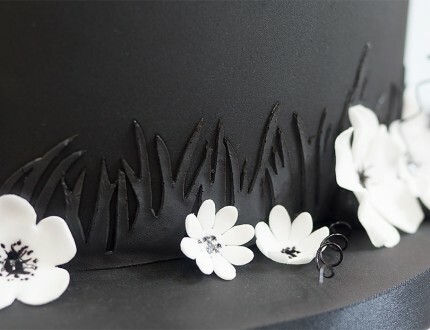 Take a peek at this tutorial to learn how to work with cake lace, create lovely edible flowers, basic edible paint work and how to decorate a delicate design. 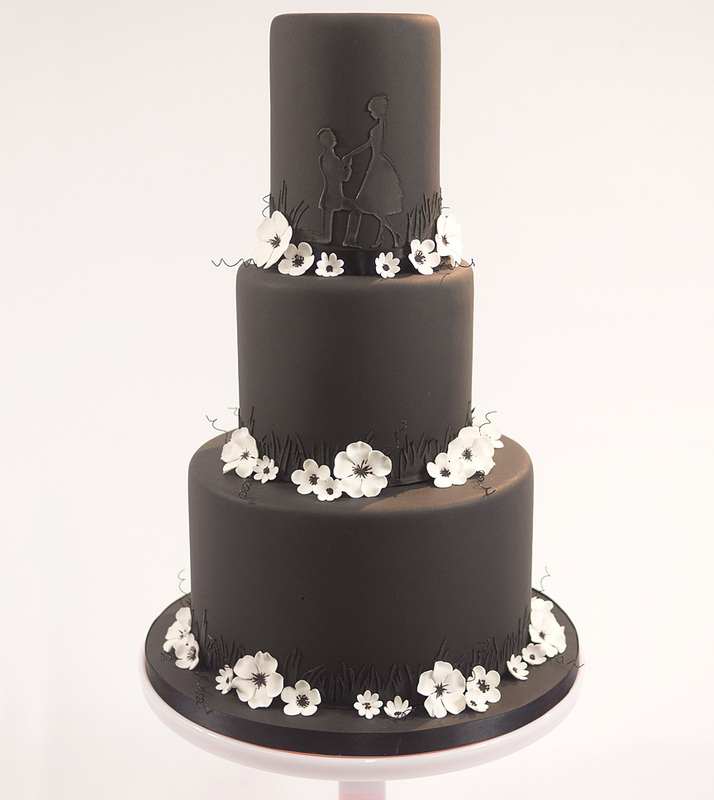 We'd love to see your take on the Black Noir Wedding Cake - so make sure you share your snaps with us on our Facebook page.